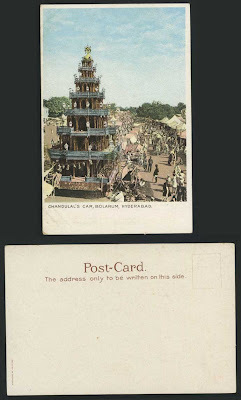 Vintage Colour Undivided Back British Indian Picture Postcard, Ethnic Life. 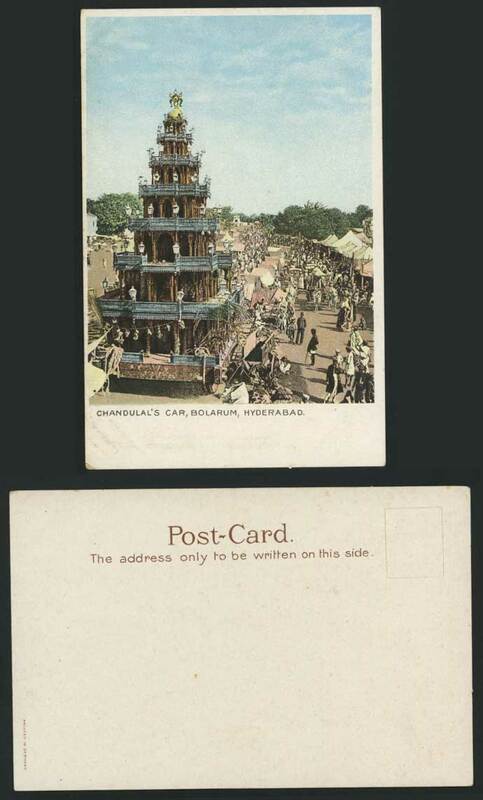 Chandulal's Car Bolarum, Hyderabad. Street Scene.